It is the winter home of the Je Khenpo, the Chief Abbot of Bhutan. Punakha has been of significance since the time of Zhabdrung Ngawang Namgyel in the 17th century. Zhabdrung Ngawang Namgyal, the ruler of Bhutan, led the Bhutanese to victory during the war with Tibetans during the 17th century, when the latter invaded Bhutan to seize a relic, the Rangjung Kharsapani, which was a self-created image of Chenresig. 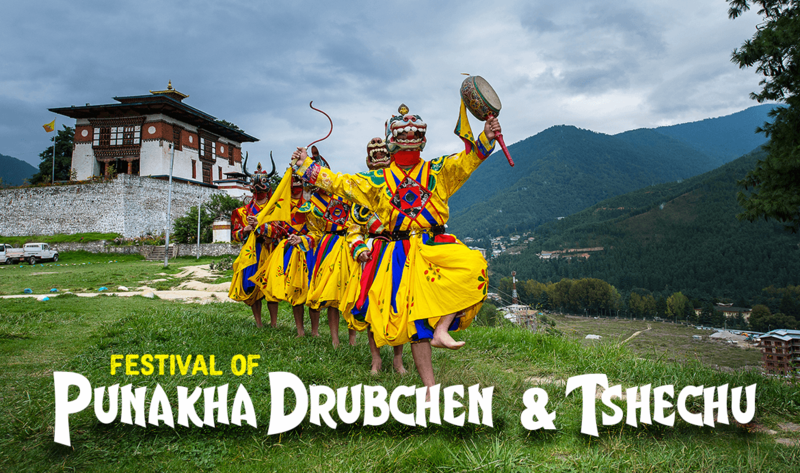 Punakha Drubchen (Domchoe) is the annual festival held to commemorate his victory and every year, there is a dramatic recreation of the scene from the battle fought with the Tibetan army. Local militia men known as ‘pazaps’ dress up in traditional gear of black and red and re-enact the ancient battle scenes. Punakha Tsechu is another festival, which is celebrated to honour Padma Sambhawa. Padma Sambhawa is also known as Guru Rinpoche. The festival is held in the Punakha Dzong, which is the second largest dzong in Bhutan and is a three-day event that is immediately held after the Punakha Drubchen. 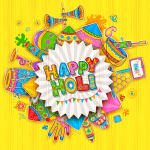 People flock to participate in the festivities from nearby villages, wearing their finest clothes and jewellery. Numerous religious dances known as “Cham” are performed by Buddhist monks. The dancers wear costumes made of yellow silk or rich brocade. The masks they wear usually represent animals, fearsome deities and manifestations of Guru Rinpoche. They dance for these legends, performing the expressions of the compassionate and wrathful beings, both heroes and demons, and chant mantras from the Buddhist scriptures. There are also dancers who wear clown masks with long red noses. The Bhutanese believe that by watching these dances, they can purify their souls and bring good luck. This festival marks the heroic deeds of Guru Padma Sambhawa. The unfolding of the huge cloth ‘thangka’, a sacred scroll depicting Padma Sambhawa constitutes the festival. The people who come to witness the festival donate money to the dancers to help support the monasteries. During both the festivals, the village of Punakha Dzong comes alive. These festivals play a crucial role in not just preserving Bhutan’s rich culture and traditions but also in providing devout Buddhists an opportunity for prayer and pilgrimage.